(RNS) An al-Qaida breakaway group that seized large swaths of Iraq in recent weeks declared Sunday (June 29) the creation of a new religious state in Iraq and Syria, as it continued to repel government forces in Tikrit, the hometown of former dictator Saddam Hussein. The militant group called the Islamic State of Iraq and the Levant announced it will now be known as The Islamic State. The announcement could force other jihadist groups to either join or fight the group, which lays claim to billions of dollars in assets, scores of communities and operations that extend into Turkey and Lebanon, said Charles Lister, an analyst at the Brookings Doha Center, a think tank. The group, which was disowned this year by al-Qaida chief Ayman al-Zawahri, has developed an elaborate bureaucracy and an efficient model of governance, providing modern social services together with medieval justice. And it has supporters in Jordan, Gaza, the Sinai Peninsula, Indonesia and Saudi Arabia, Lister said. 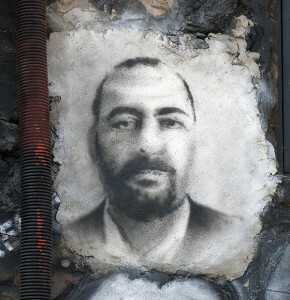 “This could well be the birth of a totally new era of transnational jihadism,” he said. The group, which gained control of much of northern Syria during that country’s civil war, fought U.S. troops as al-Qaida in Iraq during the U.S. occupation. In Tikrit on Sunday, Iraqi helicopter gunships struck suspected insurgent positions as part of a government offensive to retake the city from the militants. The Iraqi military launched its push on Saturday with a multipronged assault spearheaded by ground troops backed by tanks and helicopters. Iraq said the army is coordinating its campaign with the United States. The insurgents appeared to have repelled the military’s initial push for Tikrit and remained in control of the city Sunday, but clashes were taking place in the northern neighborhood of Qadisiyah, two residents reached by telephone told the Associated Press. The United States has sent 180 of 300 American troops that President Obama has promised to help Iraqi forces. The U.S. military said it is flying 30 to 35 missions a day over Iraq, primarily on surveillance missions. “Some of those aircraft are armed,” Rear Adm. John Kirby, the Pentagon spokesman, said Saturday (June 28). The flights included both drones and manned aircraft. Tikrit is one of two major cities to fall to the Islamic State of Iraq and the Levant. The city had emptied out in recent days as people fled ahead of the anticipated clashes. If Iraq’s military forces are successful in regaining Tikrit, it would provide a boost to embattled Prime Minister Nouri al-Maliki, who is fighting for his job as many former allies drop their support and Iraqis increasingly express doubts about his ability to unify the country. Al-Maliki has shown little inclination publicly to step aside and instead appears set on a third consecutive term after his bloc won the most seats in April elections. The parliament convenes Tuesday (July 1) to start the process to select a new government. Al-Maliki has widely been accused of monopolizing power and alienating Sunnis, who have long complained of being unfairly targeted by security forces.